The LBI Library has digitized over 200 periodicals from its collections. Researchers can access them via a portal at Internet Archive or through DigiBaeck, LBI’s gateway for digitized materials. 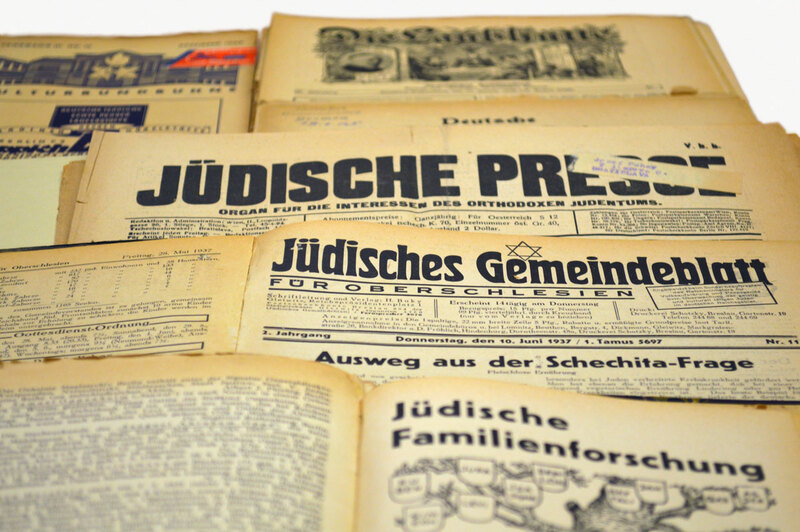 The periodicals are selected for digitization because of their importance to German-speaking Jewish history and culture, as well as their lack of physical or online availability through other institutions. Due to the rare nature of the periodicals, LBI has digitized holdings of some publications even when it does not own a complete series of issues. The project was sponsored by the Metropolitan New York Library Council and private donors. In 2017 about 60 additional periodicals were digitized. In 2018 about 50 additional periodicals will be digitized. 207 periodicals have been uploaded as of November 2018. The entire Periodical Collection of the Library of the Leo Baeck Institute consists of nearly 1,600 titles, covering all fields of German Judaica. The rich holdings include early titles from the Enlightenment period of the late 18th century, an abundance of titles from the 19th and 20th century as well as recently published titles, due to a revival of Jewish communities in Germany today. Among its rarities are an extensive collection of exile periodicals published in the 1930s and 1940s by German Jews in places such as Shanghai, South America, and New York (home of Aufbau, one of the most famous émigré newspapers), newsletters from displaced persons camps in Europe after WWII, Zionist journals, social, cultural, sports, and professional organizations as well as early 20th century newsletters from various Jewish communities in Germany, Austria, and other German-speaking areas (including parts of the present-day Czech Republic, Poland (Silesia, Posen), Hungary, and Romania). 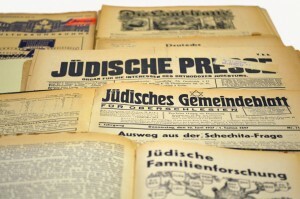 Many of the physical volumes in the Periodical Collection were salvaged from famous Jewish libraries that had been confiscated and dispersed during the Third Reich. The periodicals digitized by Leo Baeck Institute complement the resources available through the Compact Memory Project, which encompasses 170 important German-language Jewish periodicals published in Central Europe from 1806 – 1938. Most of the periodicals in the Compact Memory database were digitized from the holdings of the Judaica Division of the University Library Frankfurt am Main and Germania Judaica in Cologne. The project was sponsored by the German Research Foundation (DFG) from 2000 – 2006. For questions or comments regarding the LBI Periodical Digitization Project, please contact Renate Evers, Director of Collections, at revers@lbi.cjh.org.